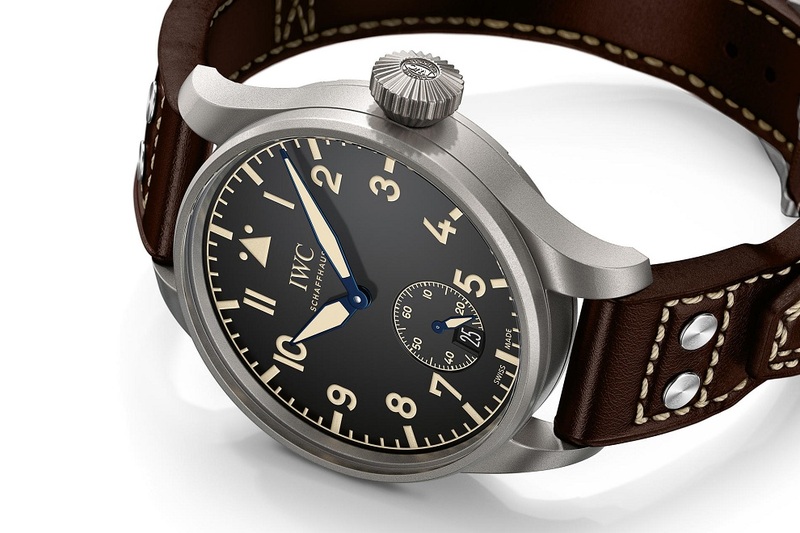 IWC after 75 years of introduction of its “Special Pilot” has revised the watch line – not only all existing pilot watches, but also presents two new models. 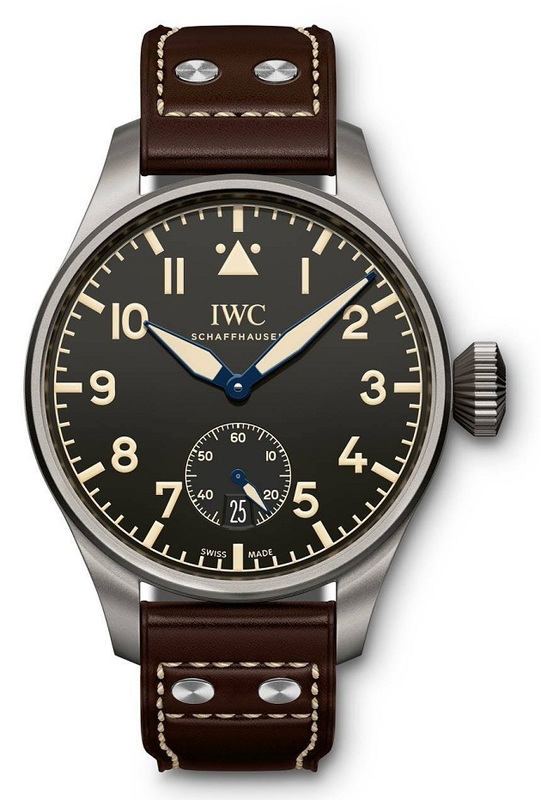 One of these is the Big Pilot’s Heritage Watch 48, the IWC calls it a successor of the 1940s Big Pilot’s Watch. 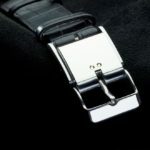 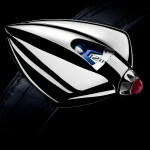 The 48-millimeter titanium case is held by an extra-long leather strap with rivets on the arm; it is divided into two parts and sewn together at the end and a second strap in the normal length. 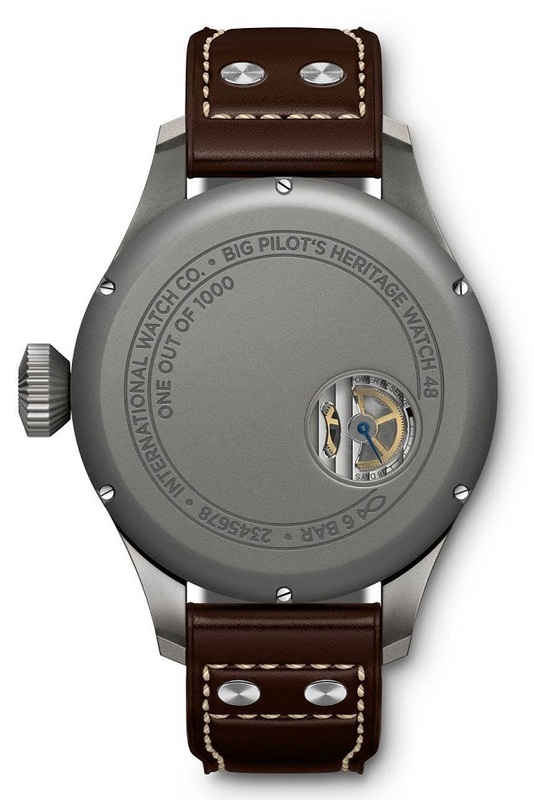 At the bottom there is a small circular sapphire crystal window on the case that provides a view on a power reserve indicator. 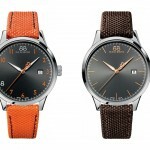 The watch uses caliber 59215 with manual winding and date will automatically stop after eight days of continuous running. 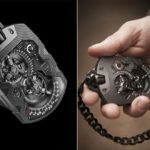 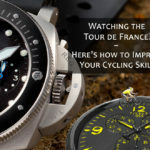 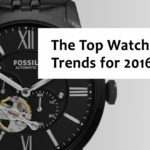 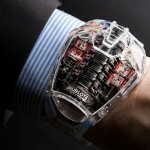 According to IWC only 1000 units will be manufactured.